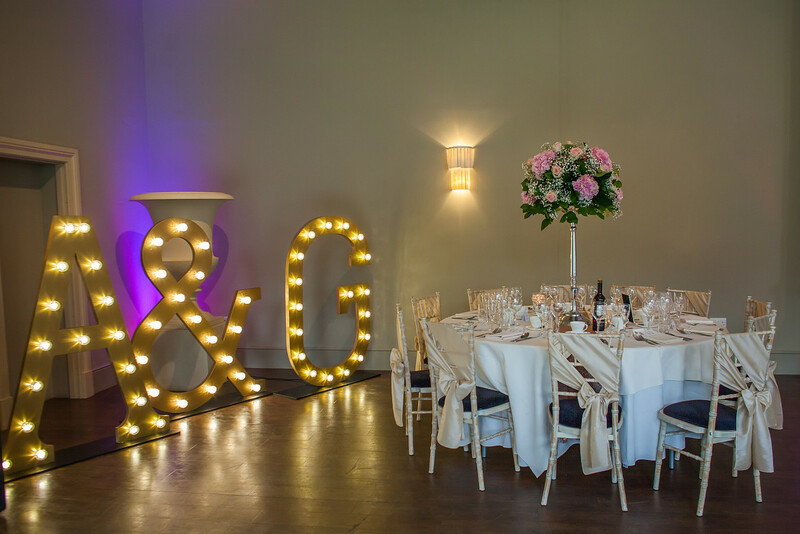 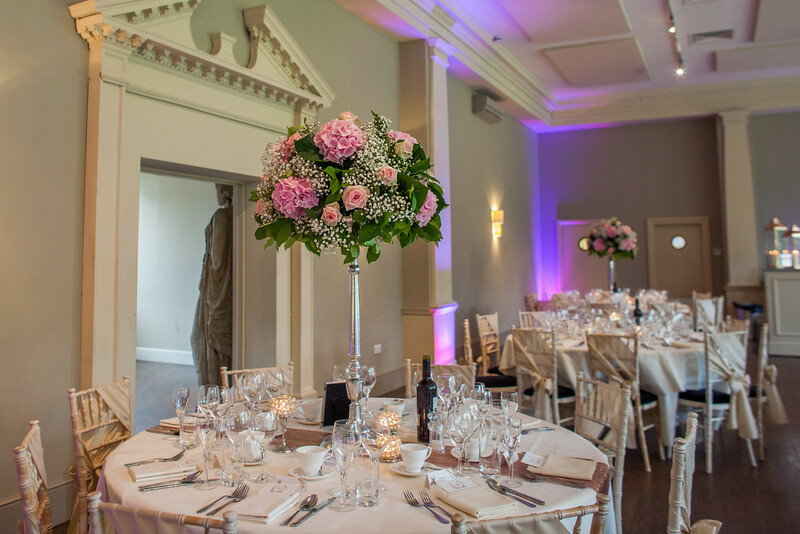 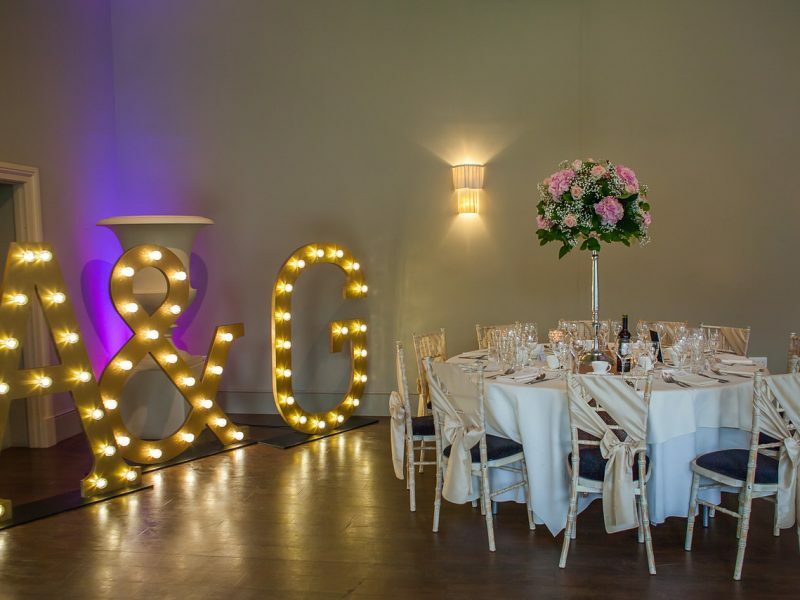 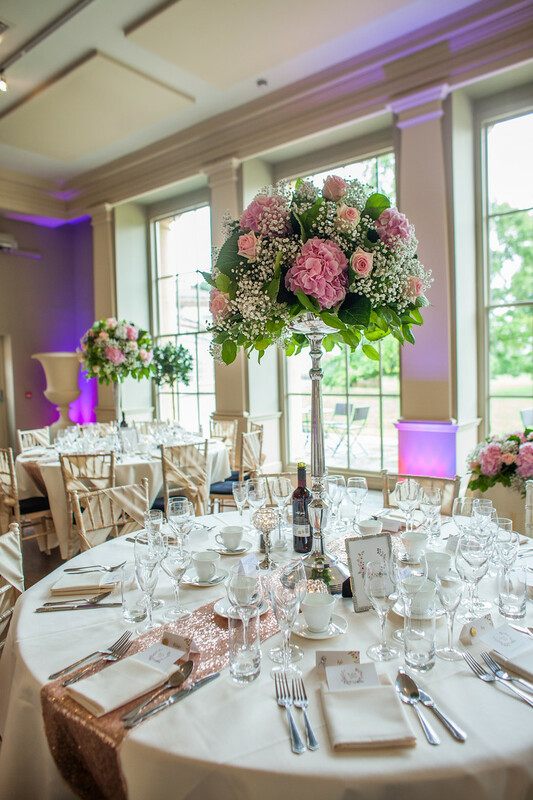 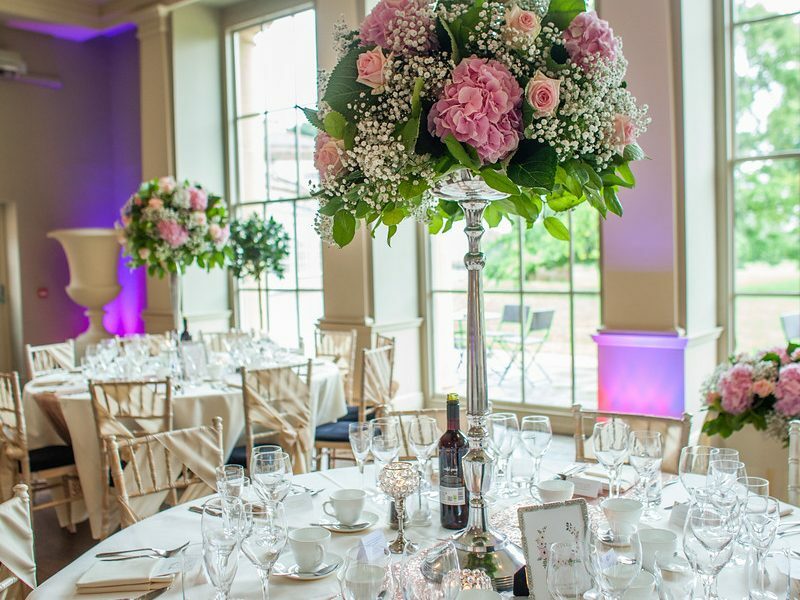 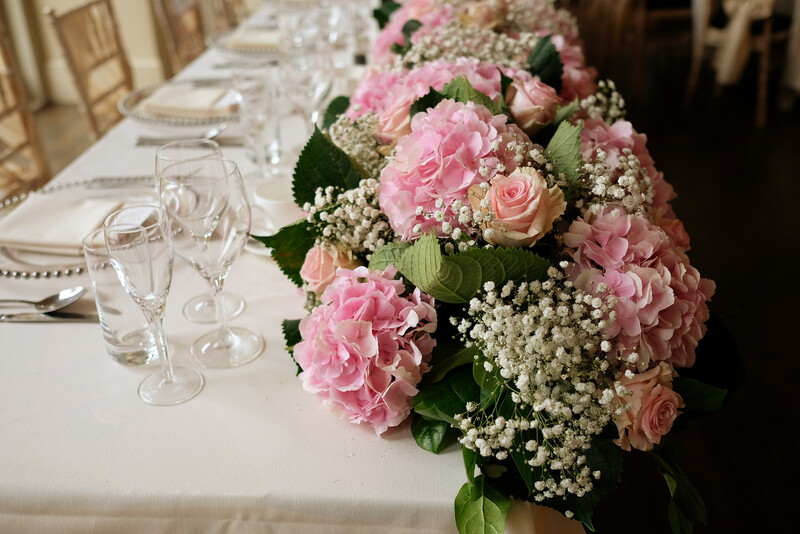 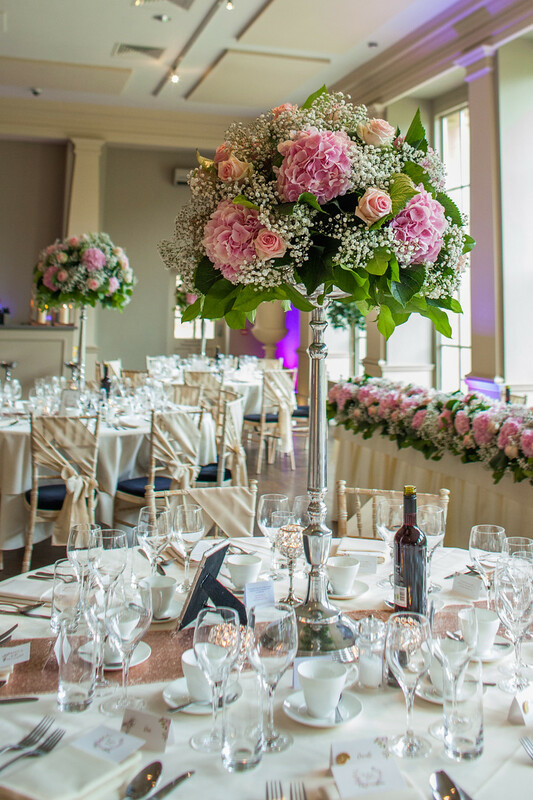 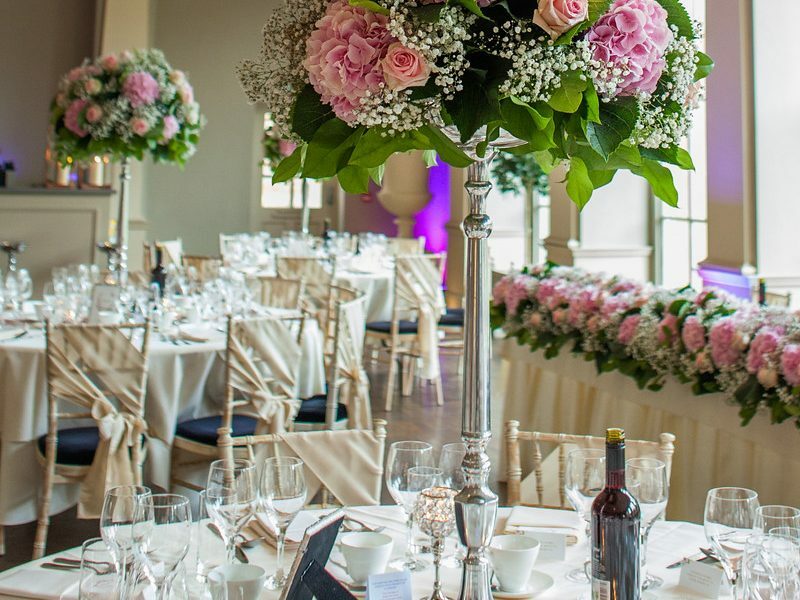 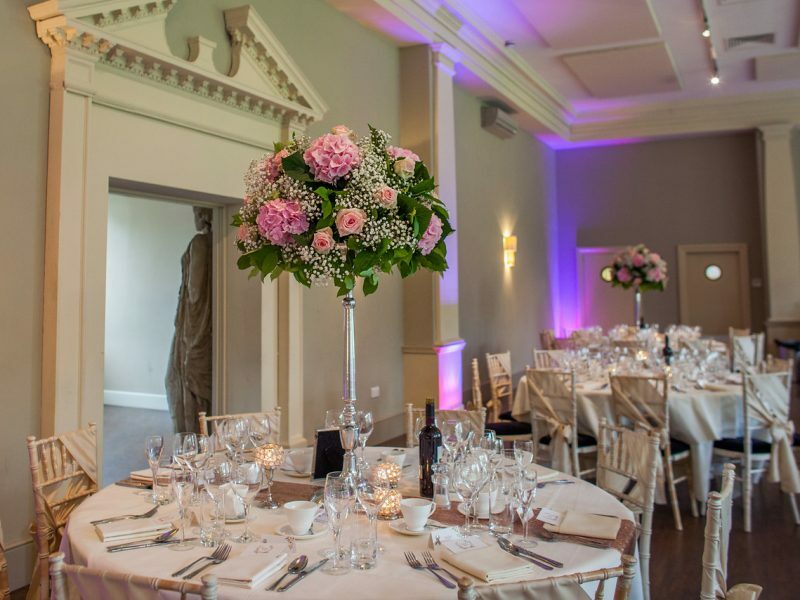 Grace and Andy wanted a glamourous, floral focused look to the orangery at Stubton Hall so we needed to use items that would compliment and enhance the flowers and room as a whole. 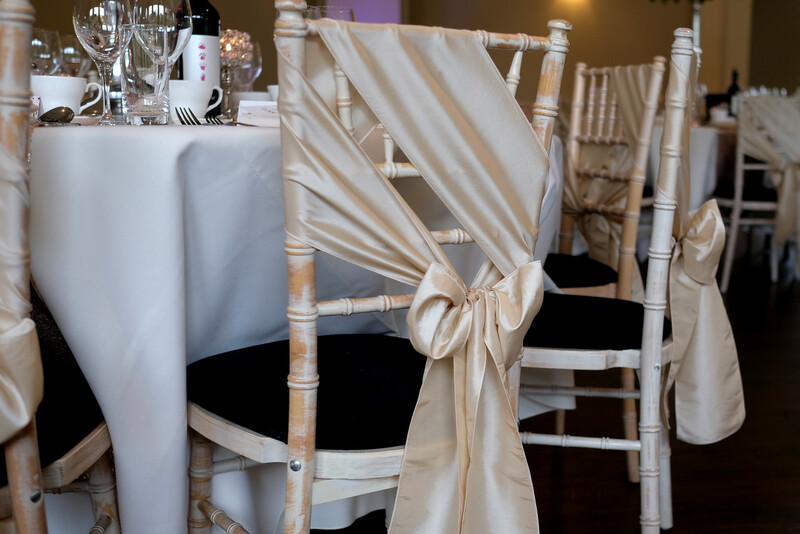 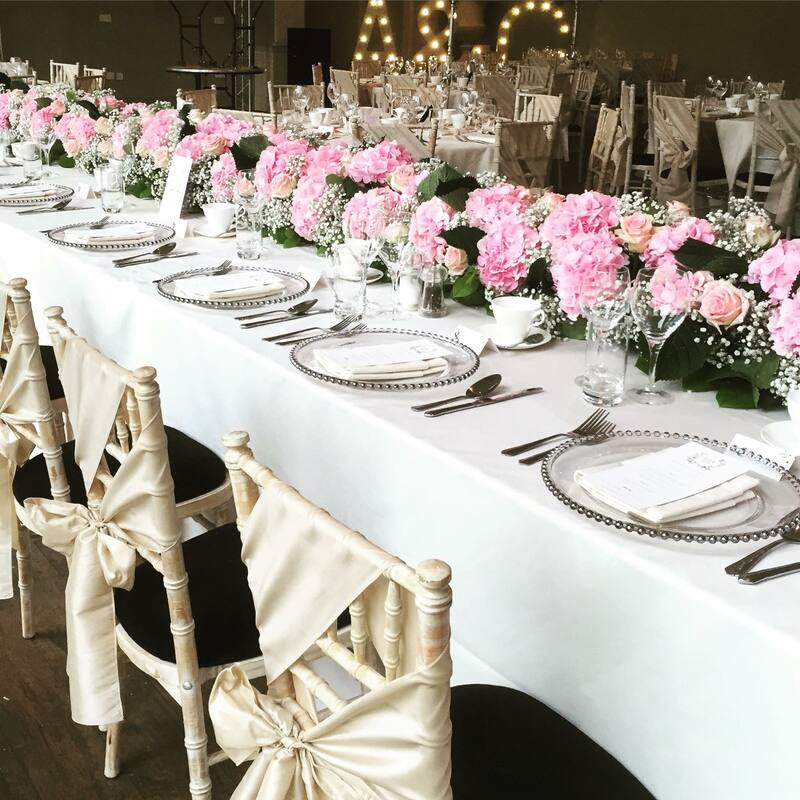 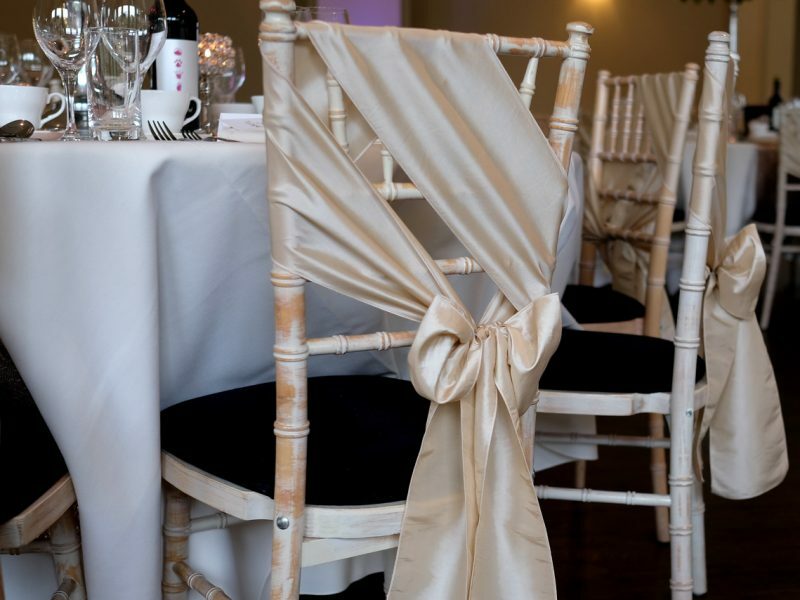 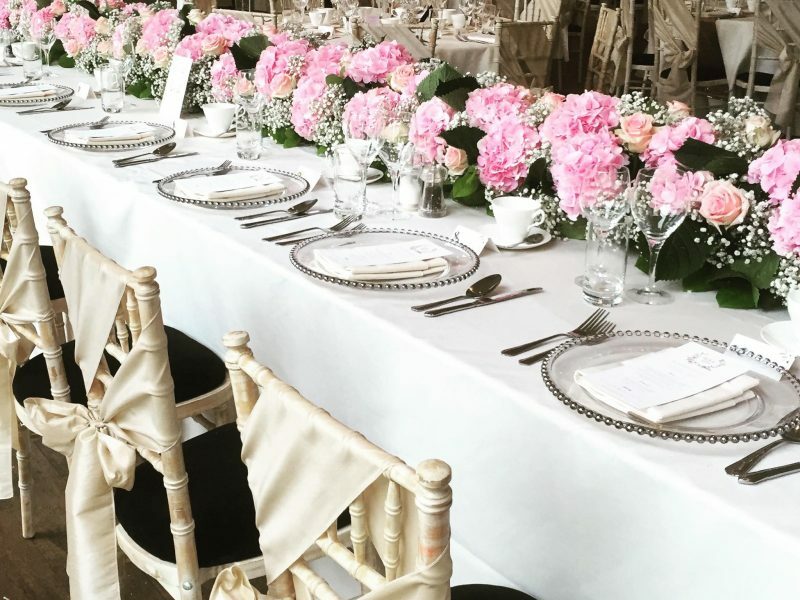 I used taffeta mink sashes and tied them across the chairs to give a pretty detailed, neutral look which would work with any colour flowers Grace chose. 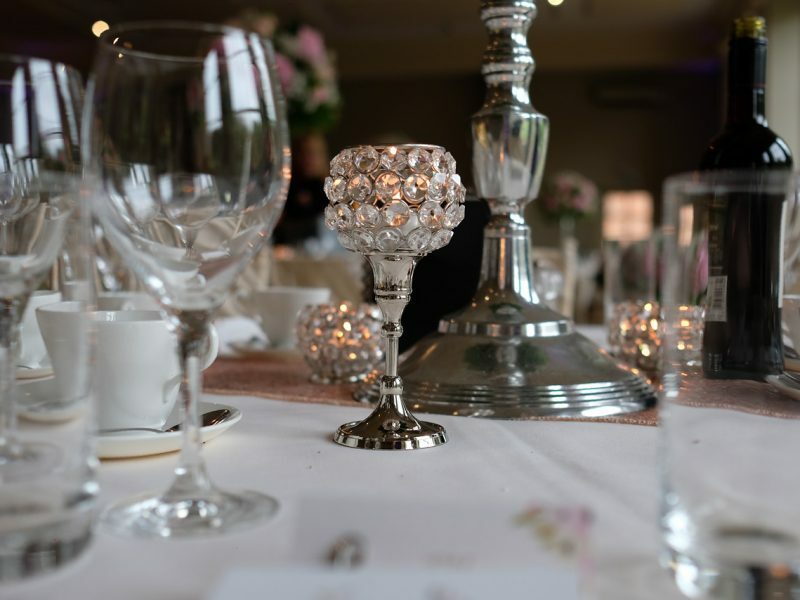 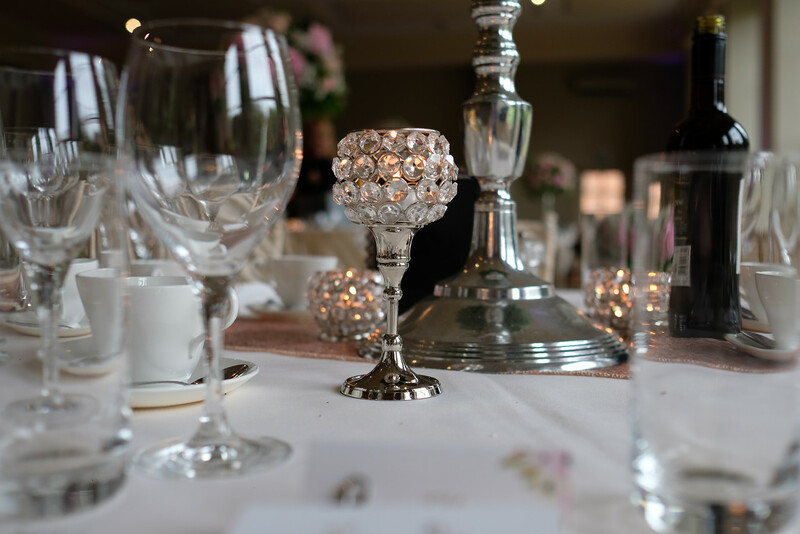 Sequin runners, crystal globe tea light holders, diamante frames, silver beaded charger plates and copper lanterns were used to complete the look. 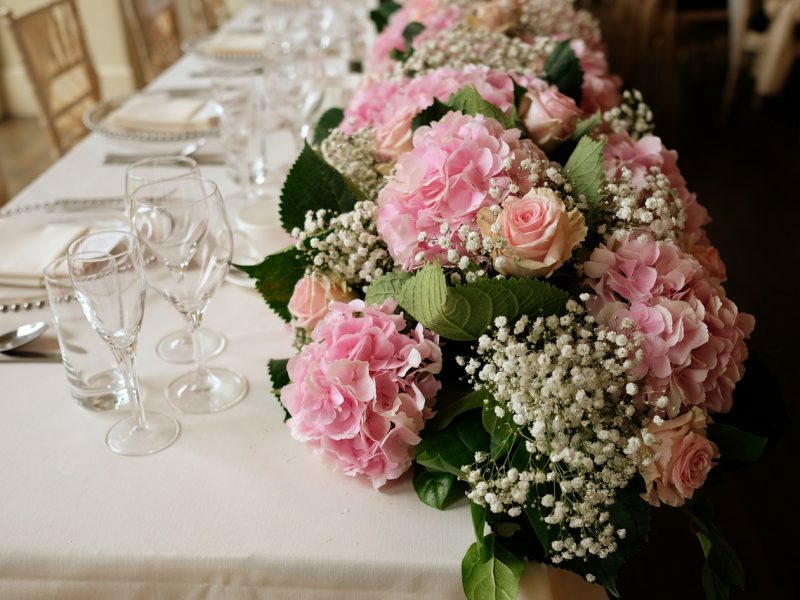 Incredible flowers by Jacaranda Flowers. 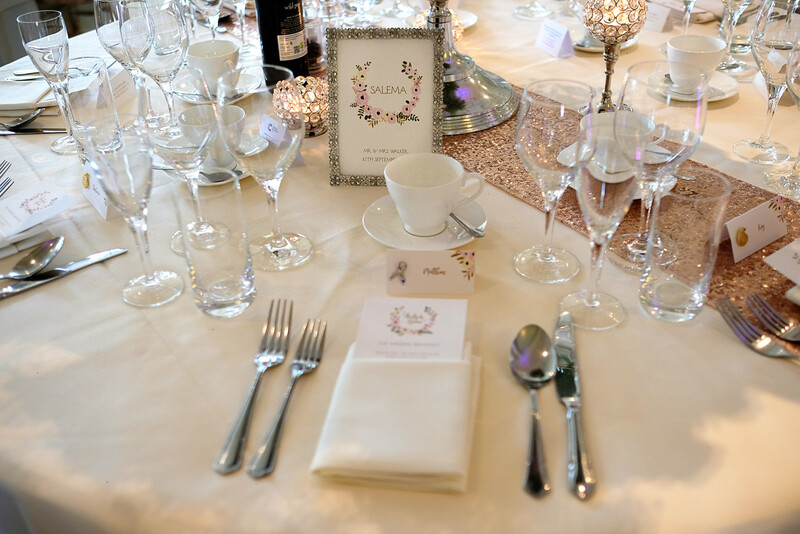 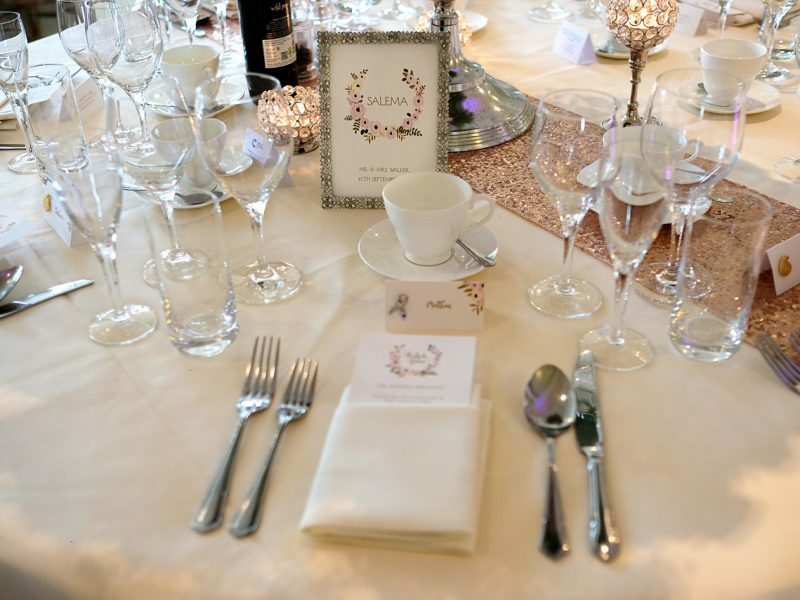 Lovely stationery, signs and gift table styling from Mad Philomena made the whole room look amazing. 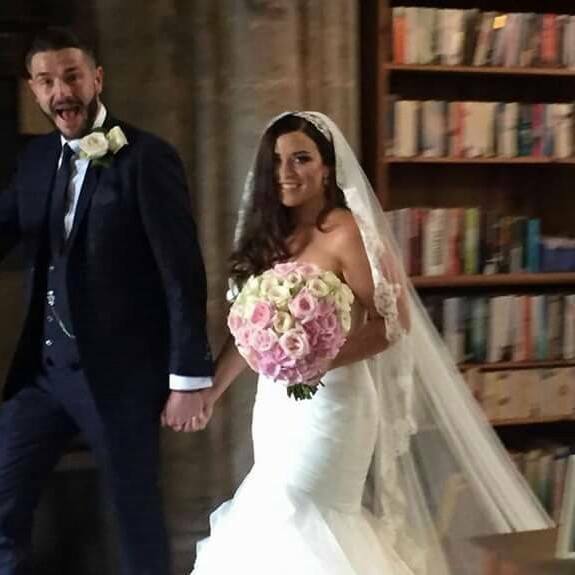 Such a beautiful wedding and a lovely couple.